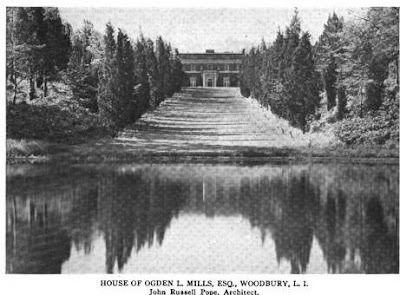 The estate of Ogden Livingston Mills designed by John Russell Pope c. 1915 in Woodbury. 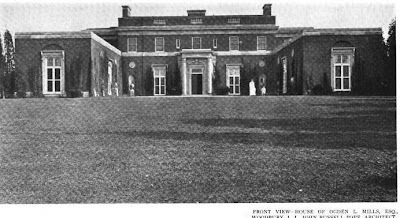 Mills was an attorney and politician and brother of Mrs. Henry Carnegie Phipps (Gladys Livingston Mills) who resided at 'Spring Hill' in Old Westbury. 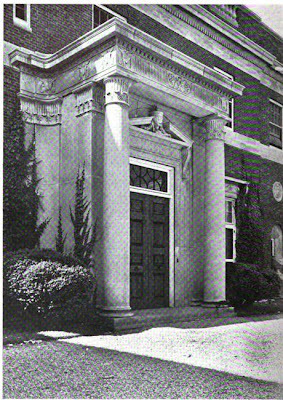 Their parents owned 'Staatsburgh' in Staatsburgh, NY. 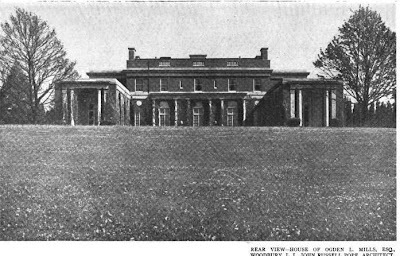 The house has since been demolished. 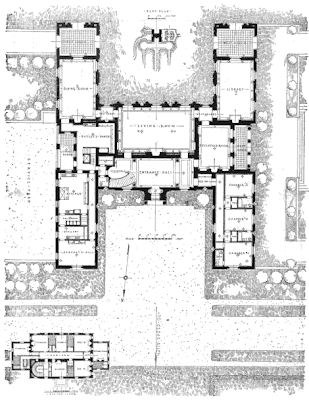 Click HERE for more on the Ogden L. Mills estate. Thanks for showcasing this austere but stunning house. It's loss is especially sad since it would have made a beautiful clubhouse for the country club. Best wishes for the new year.